Cocoa flavanols, the specific group of polyphenols which are abundantly present in the cocoa bean, have been shown to possess several beneficial effects and play an important role in supporting our health and well-being. The cocoa flavanols are natural and powerful antioxidants and help to strengthen your body’s own natural defence againts free radicals when under oxidative stress. Cocoa antioxidants help to protect you from damage from free radicals by scavenging these reactive compounds before these can cause any harm. Furthermore, cocoa flavanols have shown protective effects on several health parameters, such as cardiovascular health, cognitive function and skin quality. Before being turned into chocolate, cocoa beans contain very few natural sugars. The added sugar only causes the blood sugar to rise by a very slight degree, which results in a low Glycaemic Index. Thanks to the unique composition of chocolate, the sugar present is absorbed very slowly by the human body. Chocolate does not harm teeth. 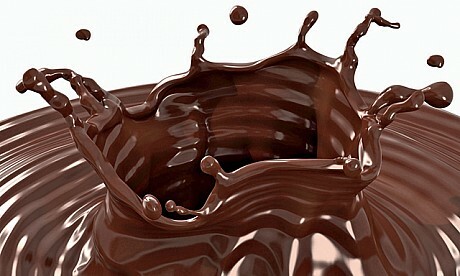 Eating chocolate can lead to a feeling of well-being and have a calming effect on one’s state of mind. Chocolate can play a healthy role in everyone’s life.